This is the first time that I saw Vilma Santos with no make up in a movie. She deserves to be called the star for all season. She is really a wonderful actress. 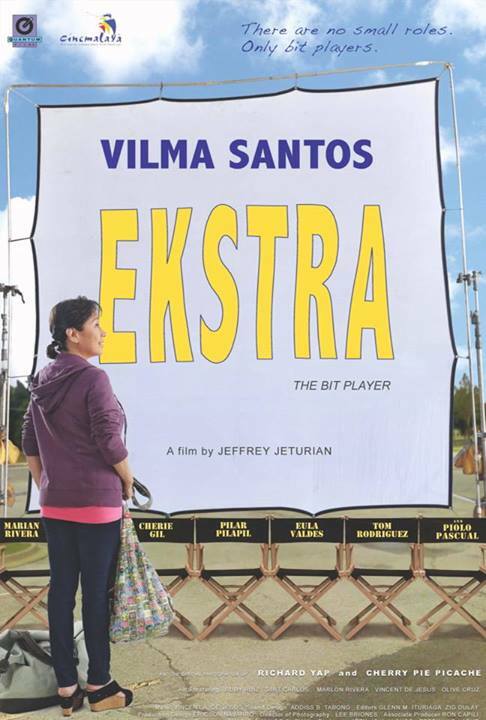 Please do watch the indie film "Ekstra". It will be shown in theaters nationwide beginning August 14, 2013. You will surely not regret watching the film. Go and see the movie in theaters. Let's help our Philippine movie industry. No to pirated DVDs.